Google is dropping the functionality used for seamless setup of Nexus/Pixel "Live Cases"
Google is cleaning up NFC on Android by removing features that few use. Earlier today, we reported that Google is preparing to deprecate the Android Beam APIs used to start file transfers via NFC. Now, another rarely used platform feature (by Google themselves) is likely to be removed from Android: support for seamlessly setting up Live Cases. Live Cases were a way for people to not only pick a case design of their liking but to also theme their phone with a live wallpaper that matches the case. 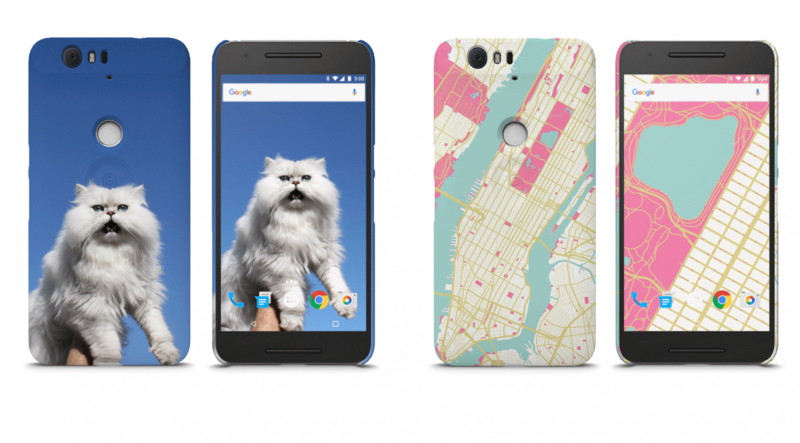 Google let users create a snap case with either their favorite photo or a stylized map. Although the service was made fully available with the Nexus 5X and Nexus 6P, Google first experimented with Skrillex-branded Live Cases for the Nexus 6. Live Cases returned for the first-generation Pixel and Pixel XL with a shortcut button that added extra functionality like showing the user more information about a location being shown on the live wallpaper or showing the user trending searches in the area. Google no longer sells Live Cases, and the customizable cases that you can get with the Pixel 2 or Pixel 3 don’t use NFC to set a matching wallpaper. Thus, we’re not surprised to see that Google is removing the code from AOSP that made it possible for Live Cases to be seamlessly set up. Google made it possible for NFC-enabled Live Cases to send data to the device while the SetupWizard is running by setting enable_live_cases to true in the NFC app’s live_cases.xml file. Only two Live Case-related custom MIME types were allowed when NFC was enabled at the lock screen, which the two Live Case apps by Google took advantage of to seamlessly send data about the case. Google is preparing to remove the functionality in Android’s NFC system app which made it possible for Live Cases to send data over NFC when the phone is locked, however. This doesn’t mean it won’t be possible for future Live Cases to be made for future Pixel phones since it could all be done after the user sets up the phone – it just won’t be as seamless during setup. I don’t think we’ll be seeing NFC-enabled cases from Google anytime soon, though.